The stats are in…when it comes to the elusive “work-life balance”, Canberrans are leading the nation, with all major research published on the subject over the last few years placing Canberra at or near the top of happy workers when compared to other major cities in Australia. Last year’s Seek Learning Defining Work-Life Balance report said that 68 per cent of professionals in the ACT were happy with their mix of working and personal lives – the highest in the nation. The latest Australian Public Service Commission State of the Service report stated that the APS employee census shows 75 per cent of respondents are satisfied with their work-life balance and access to flexible working arrangements. A similar percentage of SES staff said they were happy too. But the same report noted that flexible working arrangements were receiving additional focus, as they enabled a shift from work-life balance to work-life integration. So, which is ideal: balance or integration? 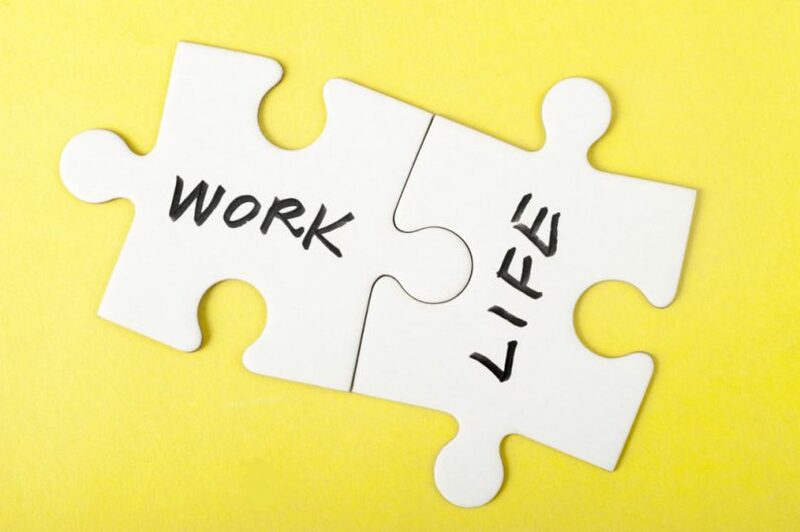 When asked what work-life balance means to them, 34% of respondents in the SEEK survey answered “flexibility”. 27% answered “work that doesn’t disrupt home life”. But can the two go hand in hand if flexibility is destined to increase remote working, and remote working is almost guaranteed to disrupt home life? Kirsten Apps opened a remote Virtual Assistant business from her home in Canberra’s South when she saw that, despite the buzz about the great work-life balance being achieved by workers in Canberra, everyone she knew was run off their feet. “I started the business predominantly to help women entrepreneurs find more time in their busy lives. More than anyone else, they seemed to have a really hard time finding a way to achieve any sort of work-life balance. I take on administrative and social media tasks from their business as a way to help them free up time to spend with their kids or get on with the work they really want to do. “But I’ve learned a lot from them and from previous roles working with senior execs in both the public and private sector, and none of them are really worried about balance. In fact, they’ve embraced integration wholeheartedly. What they do want is more time in general, so they outsource whatever they can to free up their day. Kirsten evolved her business model to cater for the new “integration” mindset, and started offering a suite of services so her clients could outsource everything from admin duties to customer management, social media, website updates, and so on. Kirsten says she’s been inspired to embrace work-life integration herself, and now allows the lines between work and home to become blurred throughout the day. What’s your opinion about work-life balance? Can it ever be achieved, or is work-life integration the way of the future? For more information about Kirsten and her services as a Virtual Assistant, visit Busy Made Simple or email her at kirsten@busymadesimple.com.au.